Kelsey is a Biology major with a minor in Statistics and 2018 graduate of the School of Science. 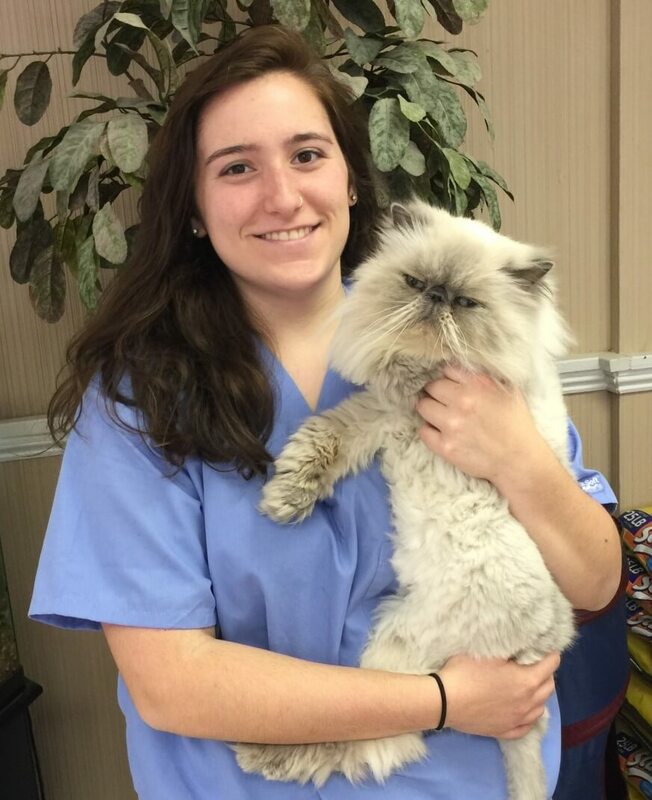 She will be continuing her education at the prestigious Cornell University College of Veterinary Medicine. Kelsey credits Monmouth with giving her the opportunity to excel, and here she tells us exactly what made her experiences at MU so special. What attracted you to Monmouth? I grew up in Middletown, NY and looked at colleges both near and far. When I visited Monmouth, I immediately felt it was right for me. It was a perfect distance from home – not so close that I would be tempted to go home too often, yet close enough that I could when I needed to see family or old friends. I immediately loved the beautiful campus – who wouldn’t? I loved the location, too, close to the beach and the City. Everyone I met here was so friendly and seemed genuinely interested in me, and truly invested in helping me succeed here. Why has Monmouth been a good fit for you? I never felt like just a number at Monmouth. We have small classes here, and that gave me the opportunity to be more involved in the discussions, connect with my professors and bond with my fellow students. My professors were always available to me and felt more like mentors than just teachers. At Monmouth, I learned that I could – and would – achieve my goal of becoming a vet, and of being accepted at Cornell! I have made amazing connections here that I will take with me when I leave, professors who have given me tremendous insight and friends that I know will be with me for the rest of my life. There are great opportunities here to do community service work as well. I was able to connect with and work at the Monmouth County SPCA, Pets Alive and the MU Food Recovery Network. How did Monmouth University prepare you to be successful? At Monmouth, I feel I was successfully able to combine my academic success in the classroom and in the laboratory with the strong leadership skills I developed here as a School of Science Peer Mentor and Peer Mentor Coordinator. I believe this skill set combination will be a huge influence for the rest of my academic and professional careers. With the guidance and support I received from Dr. Catherine Duckett, Dr. Robin Kucharczyk, and Dr. Jeff Weisburg and the School of Science Peer Mentor Program, I was able to develop the skills I think I always knew I had, but never felt either the confidence or the opportunity to use. I felt myself growing and developing as a student and a leader, planning events, communicating with other students, peer mentors, faculty, and various professionals at our events. Being a Peer Mentor has been pivotal to the success I had at Monmouth and will be for the success I hope to have in the future!